A drug capsule that could potentially be used to deliver oral doses of insulin has been developed by researchers at MIT. 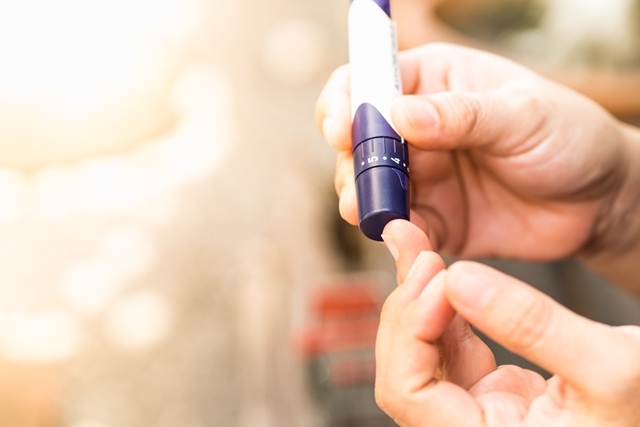 Roughly the size of a blueberry, the capsule contains a small needle made of compressed insulin, which is injected after the capsule reaches the stomach. In animal tests, the researchers showed that they could deliver enough insulin to lower blood sugar to levels comparable to those produced by injections given through skin. In a research paper in Science, they also demonstrated that the device can be adapted to deliver other protein drugs. Giovanni Traverso, an assistant professor at Brigham and Women’s Hospital, Harvard Medical School, and a visiting scientist in MIT’s Department of Mechanical Engineering, is also a senior author of the study. The research team also includes scientists from the pharmaceutical company Novo Nordisk. Several years ago, Traverso, Langer and colleagues developed a pill coated with many tiny needles that could be used to inject drugs into the lining of the stomach or the small intestine. The tip of the needle is made of nearly 100% compressed, freeze-dried insulin, using the same process used to form tablets of medicine. The researchers drew their inspiration for the self-orientation feature from a tortoise known as the leopard tortoise. This tortoise, which is found in Africa, has a shell with a high, steep dome, allowing it to right itself if it rolls onto its back. The researchers used computer modelling to come up with a variant of this shape for their capsule, which allows it to reorient itself even in the dynamic environment of the stomach. They believe this type of drug delivery could be useful for any protein drug that normally has to be injected, such as immunosuppressants used to treat rheumatoid arthritis or inflammatory bowel disease. It may also work for nucleic acids such as DNA and RNA.